There is a growing trend in the drone market, a few streams of devices are becoming prevalent, big professional and commercial drones, high speed racers, camera-centric drones and the smaller, convenient selfie drones. DJI makes a machine for most of these categories, particularly with the new DJI Spark. Spark is a small drone, not a nano drone, just small, it is very portable and it introduces new flight modes that can make any pilot look like a pro. Hoping to bring their drones into the mainstream, let’s take a brief look at unboxing and setting up the DJI Spark. Full review coming soon. First and foremost, allow us to explain what you get when you order the DJI Spark. 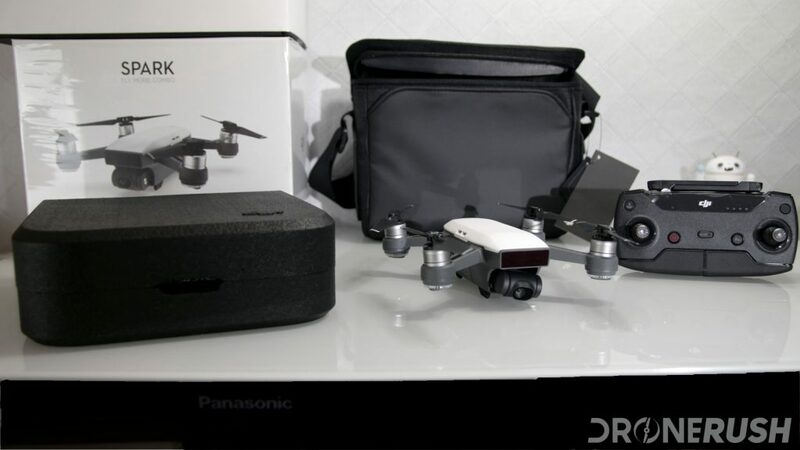 There are two purchasing options available, the first is to buy the drone as is. 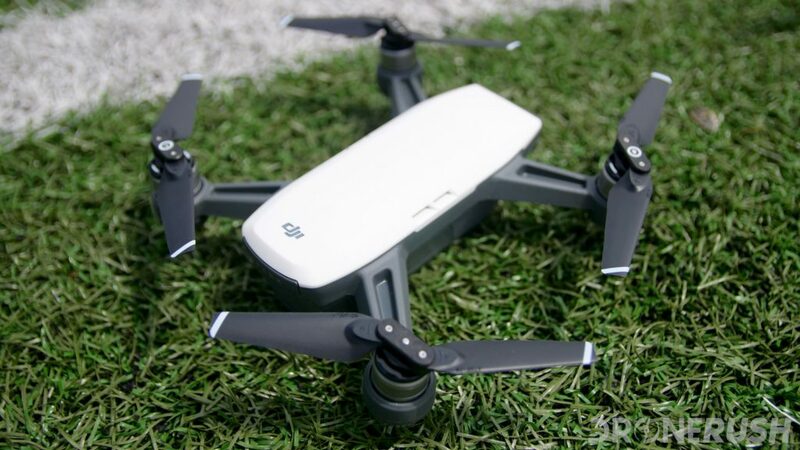 No remote, no fluff, just a drone that is ready to fly using your mobile device or hand gestures. The second purchasing option is the Fly More combo. Much like the Mavic Pro combo, you get extra battery, a charging hub, a carrying bag and a few other tidbits. 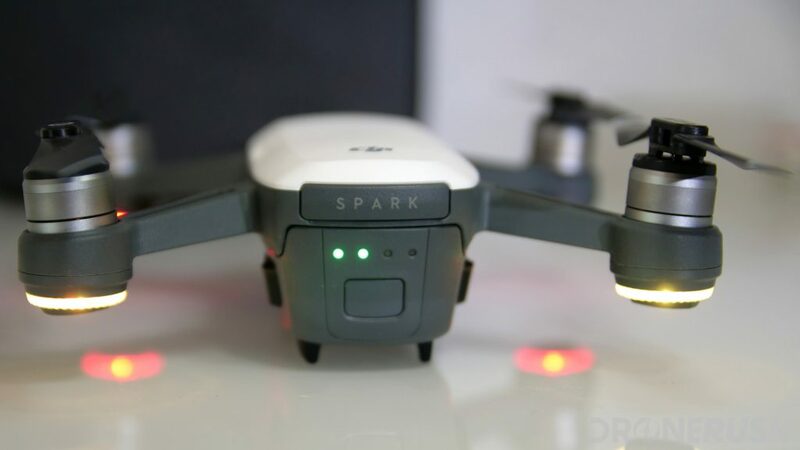 However, the true value in the additional $200 price is the inclusion of a dedicated remote control for the Spark. Considering the additional controls the remote offers, we think it is a smart option, at least if you plan to do anything more than capture selfies. As always, this DJI product comes well packaged, all the pieces have a place. The drone itself comes in a handy foam clam shell that acts nicely as a launch pad, if needed. A couple extra propellers included. The Fly More extras were inside of the included carrying bag. Pull it all out, charge up the batteries of the remote and drone, and get ready to fly… I mean, get ready to run updates and activate the drone before it will fly. 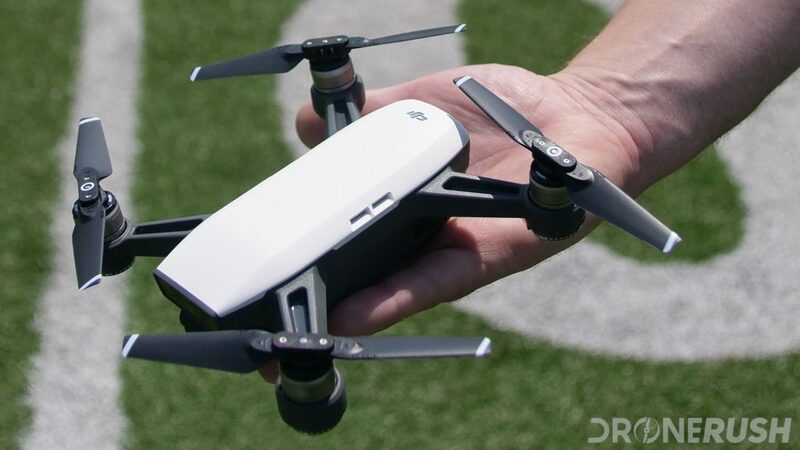 Before the DJI Spark will leave the ground, or your hand, you’ll need to run firmware updates and activate the drone with DJI. Activation is a new thing, you’ll need an account with DJI, so have your password ready, or get ready to make a new one. Warning, the DJI Spark is noisy. Do not run the setup and updates while the house is sleeping, it beeps like crazy! I find that the easiest way to update the firmware of any DJI product is to connect via USB to your PC and fire up the DJI Assistant (2) program. It handles all the steps for you. Once updated, get to a flat spot so you can calibrate the IMU. Connect your mobile device to the Spark and find the calibration within the Sensors section of the settings. Let’s hold there, we need to do this all in order of operation. If your Spark is like my Spark, you are going to be wildly frustrated before you can get this thing to leave the ground. I’ll explain the steps I had to take, just know that getting to this procedure was not as easy as I’ll make it sound. Once you have the drone into the mode you need to get connected, use those recorded WiFi credentials to connect your mobile device running the DJI GO 4 app to your drone. Do this from the normal WiFi settings of your device, or you can hit Connect from within the app at this point as well. 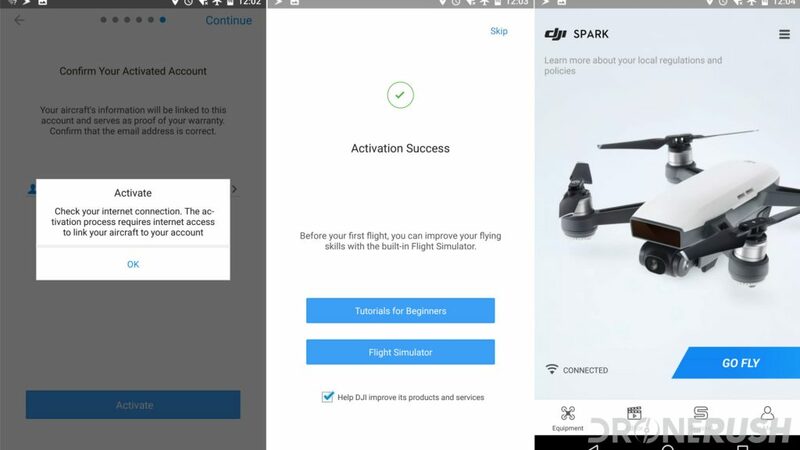 The app will now activate your drone, registering it to your account with DJI. 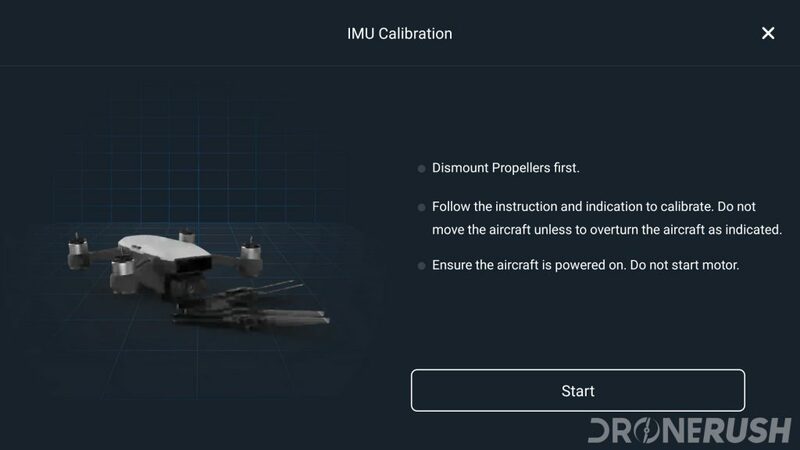 Follow through the setup process, you’ll get to name the drone, set a joystick mode, set your unit of measure preference, turn off Beginner Mode (careful! 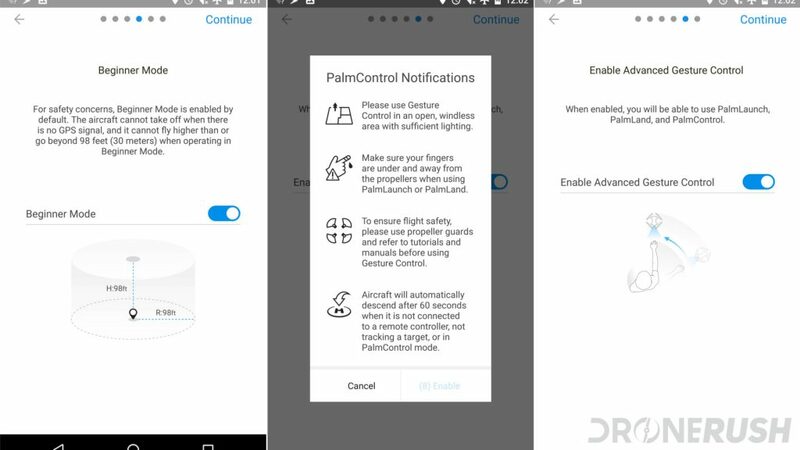 ), turn on hand gesture mode and more. 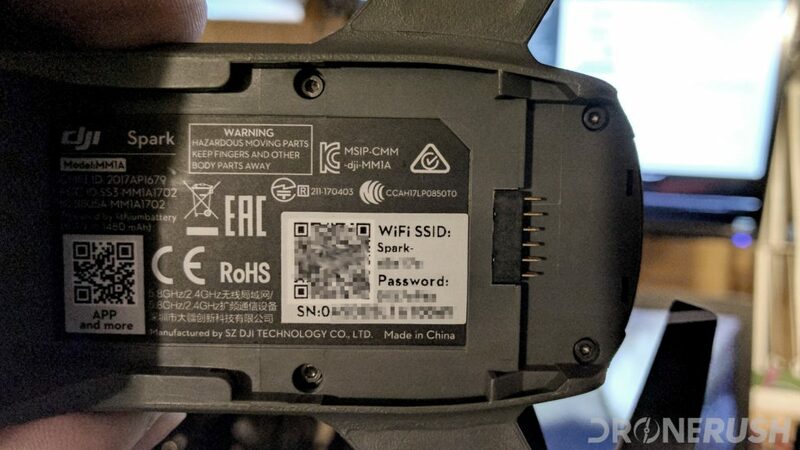 Half way through this process, you’ll need to disconnect from the drone’s WiFi, connect to your normal network to send those account details up to DJI servers, confirming your account. 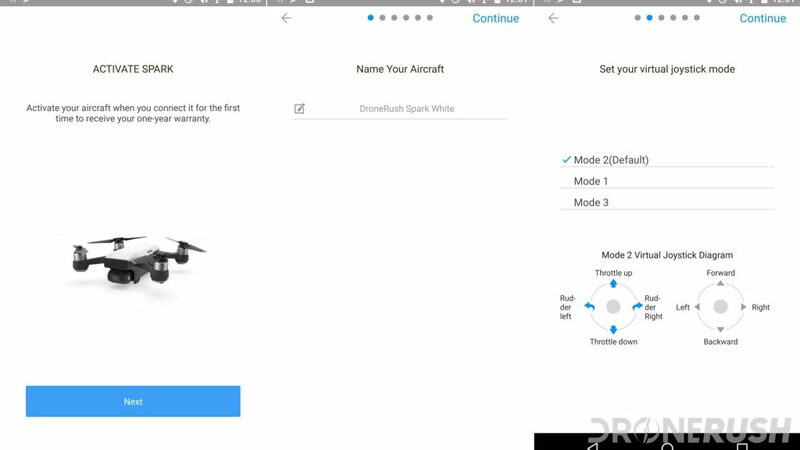 If you plan to fly by mobile device, just go ahead and reconnect to the drone’s WiFi, connect to the drone in the DJI GO 4 app and get ready to rock. If you have the remote control, get ready for the rest of the process. Power on the remote control. and head into the WiFi setting on your mobile device. You’ll find different WiFi info on the back of the remote control, connect your mobile to the remote now. Once connected to the remote via WiFi, open the DJI GO 4 app and tap the Connected icon in the bottom left corner. It may also say Need Help? There are two tabs with connection instructions, you should be connecting to the aircraft already, so tap over to the Remote Controller tab. At the bottom, tap on the Remote Controller Linking button. Warning, your remote will start beeping like a bomb in the movies. I hate writing those words, but that’s the best way to describe it. Back on the drone, press and hold the power button for 3 seconds, until the first beep. The beeping will continue for up to 30 seconds until the drone and remote find each other and form a secret pact of some sort. Pro tip: Try using an OTG-type USB adapter with a normal USB cable to connect your mobile device to the remote controller. It’s way more reliable than the WiFi connection. 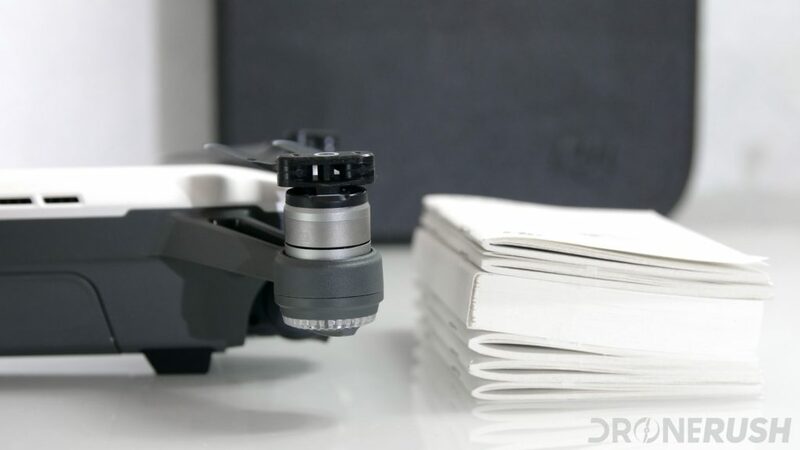 Remember that there are three main ways to control the DJI Spark, you’ll need to choose your method before you head out. Flying by hand gesture looks like tons of fun, if limited in ability. Flying by mobile device is super convenient, but again limited in scope. Flying by remote is your best best, with full functionality and range. When it’s time, make sure everything is connected, tap the take-off button, or pull down and in on the remote joysticks, and off you go. Fly safe and enjoy the great Quickshot functions! We’re finishing up our full review of the DJI Spark now, stay tuned for all the fun.